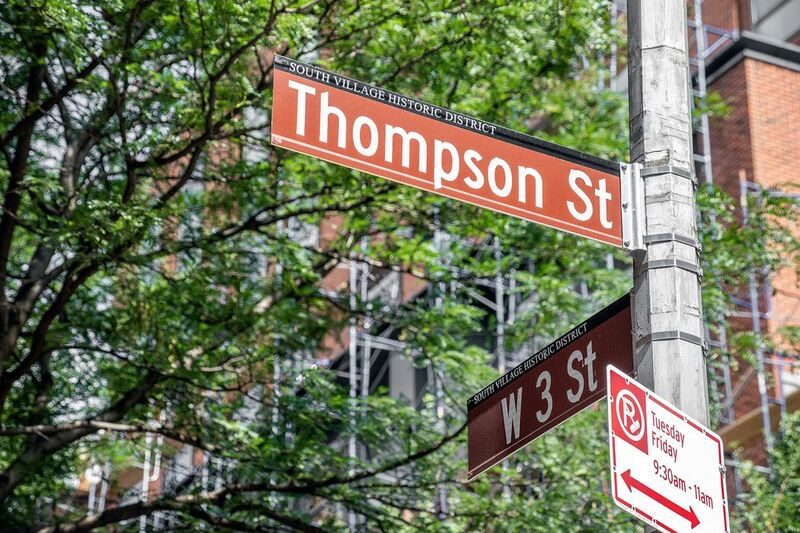 211 Thompson Street GLD, New York, NY 10012 | Sotheby's International Realty, Inc. 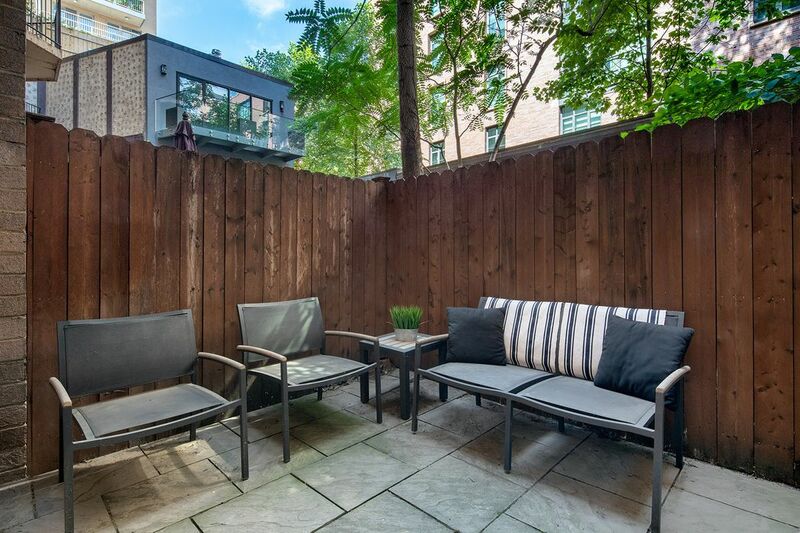 The perfect one bedroom duplex with a large private garden in the heart of Greenwich Village. 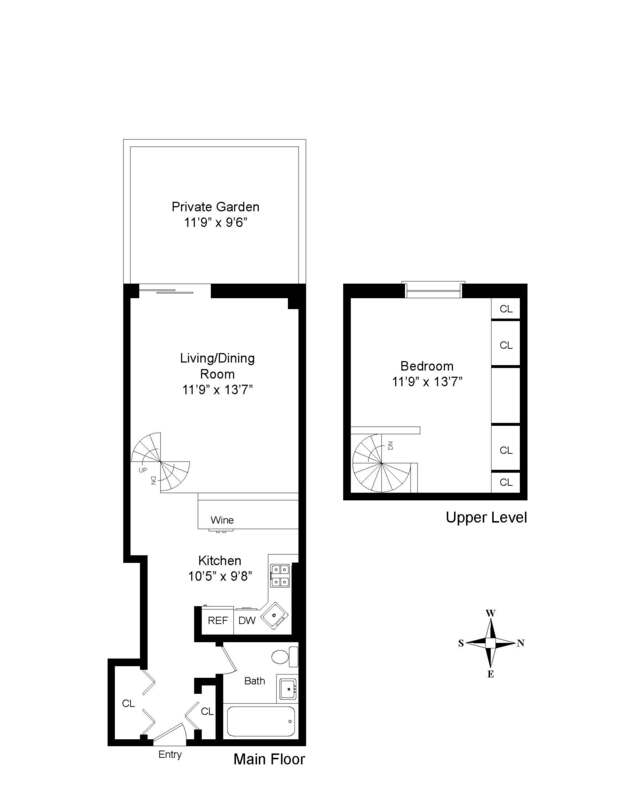 Enter through the foyer to a beautifully renovated kitchen featuring top-of-the-line appliances, custom white cabinetry and a pass-through to the living room maximizing light and space. Ideally suited for entertaining, the sunken living room leads directly to the private outdoor oasis with ample space for dining in a tranquil setting. 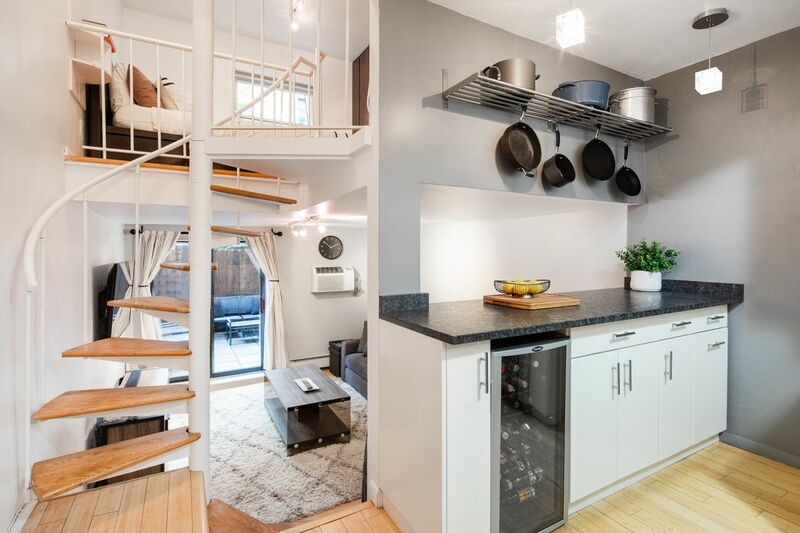 Atop the stately spiral staircase, a bright loft bedroom overlooks treetops and offers a wall of floor-to-ceiling custom closets outfitted with drawers, hanging space, and tremendous storage. 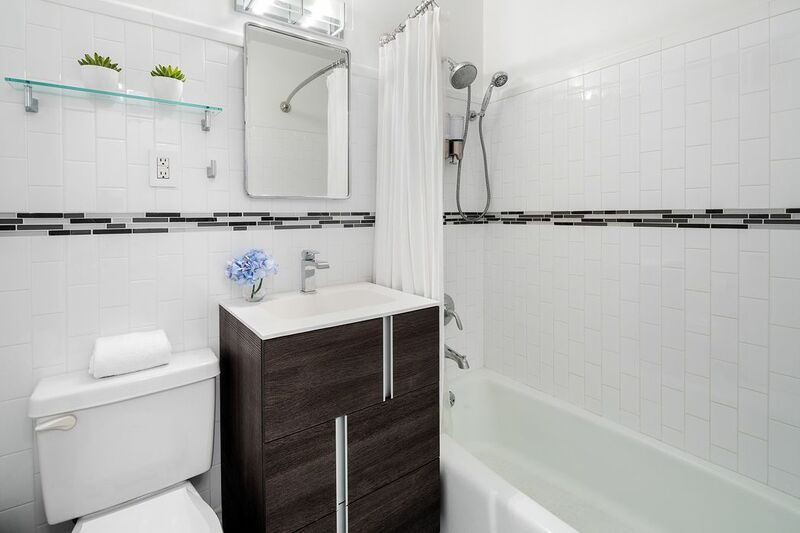 Two large, customized closets line the hall leading to a renovated spa-like bath with clean, white finishes. 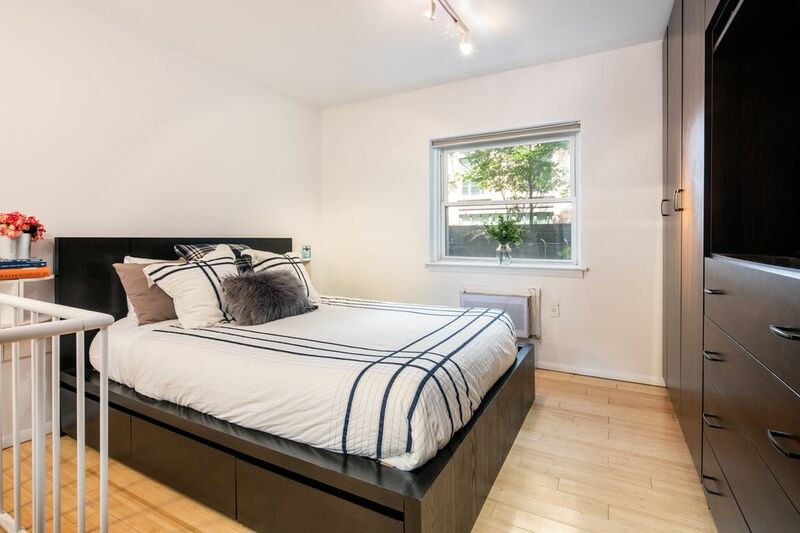 This special ground floor duplex faces west with lovely light a charming, quiet exposure. 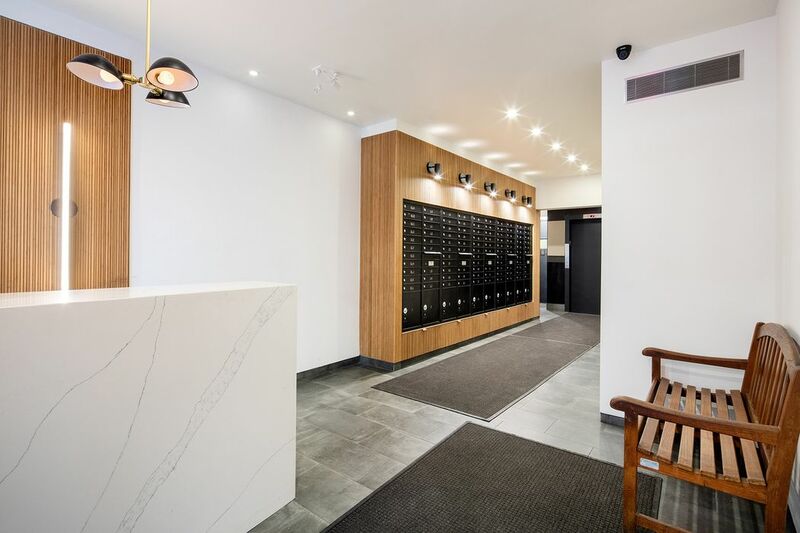 211 Thompson is located on a prime, tree-lined block and just completed (and already funded) an extensive modern renovation of the lobby and hallways, new building mechanicals and a washer/dryer on each floor. Amenities include part-time doorman and a live-in superintendent. 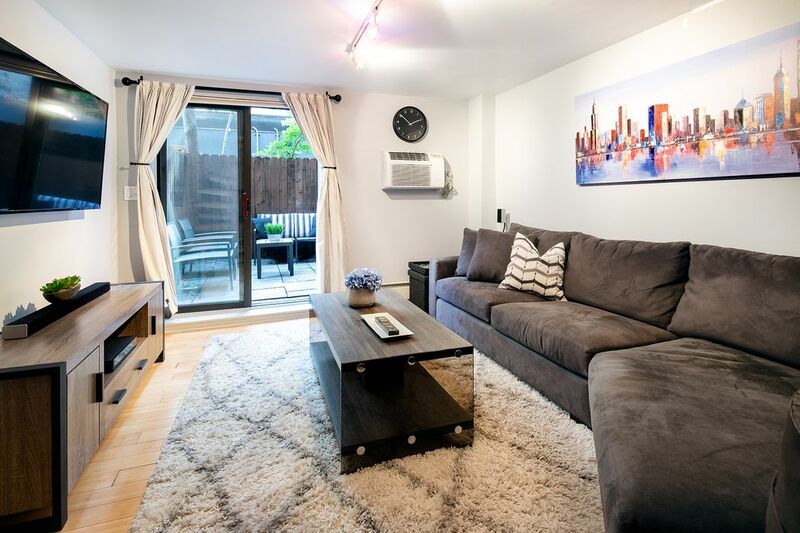 Perfectly situated just off of Washington Square Park and NYU, close to most subway lines and surrounded by some of downtown’s best restaurants, shops and live music, apartment GLD offers a turn-key opportunity that is not to be missed. The coop allows pieds-a-terre, gifting, co-purchasing and parents purchasing for working children on a case-by-case basis. Dogs are not permitted.